Chew Guan Heng (left) and Chew Yong Tai have different hobbies, interests and careers. We can be obsessively curious about how our minds work. We take an online quiz or two to figure out if we are more of a left- or right-brain thinker. No matter what the results of these quizzes are, we have to keep in mind that we are completely different from those around us. That includes people who have high genetic similarities, like siblings. Take for example Sir David Attenborough and the late Richard Attenborough. They were born into the same family, but the former is a broadcaster, writer and naturalist known for his documentaries. The latter was a two-time Oscar-winning movie producer, director and actor for films such as Jurassic Park, Gandhi and The Great Escape. Some people are born left-brain dominant, some right. Left-brainers tend to be more analytical and logical, while right-brainers may lean more towards the creative and artistic side. Chew Yong Tai and Chew Guan Heng, who studied at Tunku Abdul Rahman University College (TAR UC), are brothers but chose different career paths. More than twenty years ago, Yong Tai was a young and ambitious teenager who had just completed his secondary education. He was always one for electrical systems, whether it be designing them, developing them or testing new pieces of equipment. His younger brother, Guan Heng, was then 7. Although he had just started primary school, he knew what he wanted to do when he became older. “I used to doodle on my homework than doing them. My teachers were not too happy about it, but it was definitely something I wanted to pursue from a young age. I remember being excited about art classes in school. It was my way of expressing myself and I knew I wanted to prolong that interest of mine for as long as I can,” said Guan Heng, who is now a graphic designer. When Yong Tai turned 18, he decided to pursue a career in electrical engineering. It was when he began studying at TAR UC that he received proper training and fell deeper in love with his passion. Growing up, many compared Guan Heng to his older brother. Some even went as far as expecting him to be a carbon copy of Yong Tai. 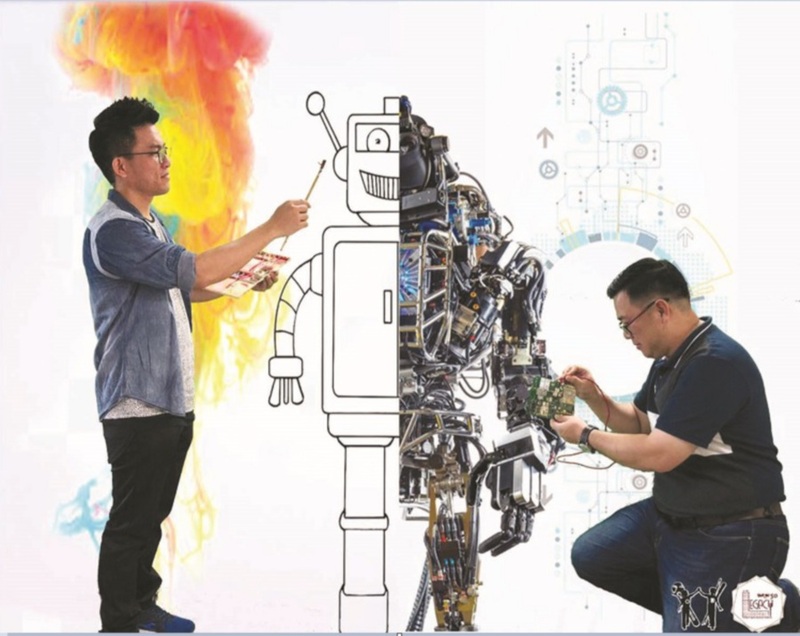 Yong Tai encouraged Guan Heng to continue drawing and even introduced him to useful graphics editing and typesetting software when he went into secondary school and got his first laptop as a present. “He always had my back and supported my interests when others did not. We did not have much money growing up. Yong Tai was not working as he was in university. Back then, we could not even afford crayons and colour pencils, but he saved whatever he could and bought them for me. Then when I turned 14, he bought me a laptop. That was when I got into graphic designing,” said Guan Heng. When Yong Tai started working, he paid for Guan Heng’s tuition fees in TAR UC. “I wanted to make sure he was able to live his dreams,” said Yong Tai. Chong Hui Xian, who is pursuing a Diploma in Accounting at TAR UC, said studying in the same institution as her brother improved their relationship. These are among the highlights of the TAR UC 50 Legacy campaign, a project organised by Bachelor of Public Relations Year 3 students at TAR UC. It seeks to showcase familial legacies that have been built in the institution for the past fifty years. Fifty pairs of alumni and current students whose direct family members are TAR UCians will be featured in a month-long social media campaign and invited to an exclusive homecoming event.